I was born in Aarhus in Jutland, Denmark but later I moved to Copenhagen, where I live now. 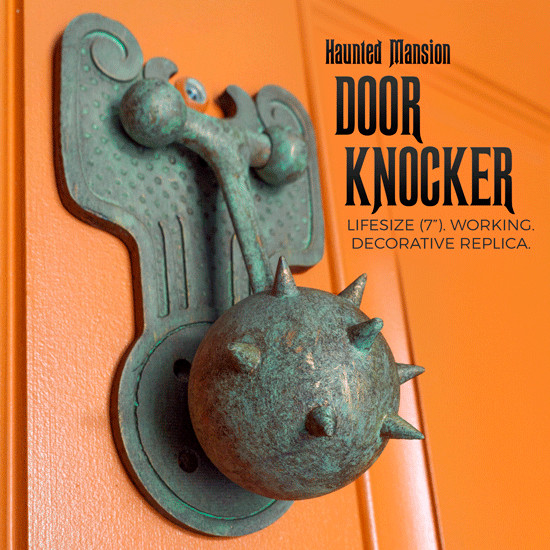 We’d like to find out more about your movie business career. Your third short film piece ‘No Exit’ was selected by Ridley and Tony Scott as well as Michael Fassbender as 1 out of 50 semifinalists. How exciting was this for you and what was the result? You have to imagine being selected semifinalist out of more than 15,000 submissions worldwide which is a staggering amount of contributions. Only two Danish short films made it to the semifinals where 50 were selected and then 10 had to be selected to the finals where the 1st prize was 500.000 USD and the help of Ridley Scott and Michael Fassbender to create a new film. 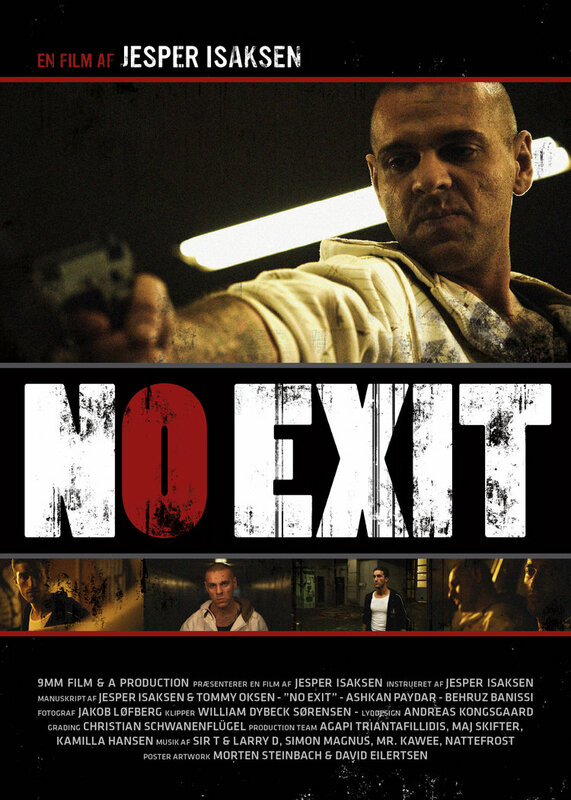 However, NO EXIT nor the other Danish short piece made it to the finals, but a great accomplishment non the less. It actually didn’t do that much for me besides a few newspaper articles and yet… it’s not one thing but the many that eventually does it. At this point I’m getting to a place where my whole body of work demands respect and I will continue to build on top of that and hopefully new opportunities will keep coming my way in the future. How did you get interested in making music videos? I actually started playing drums when I was 13 and loved it from the get go. I then played in more than 10 bands ranging from heavy metal, pop, rock, funk to electronic projects so when I decided to quit the film business as drummer and pursue my creative drive in the movie business I felt drawn towards the music video side of things as well as short films. 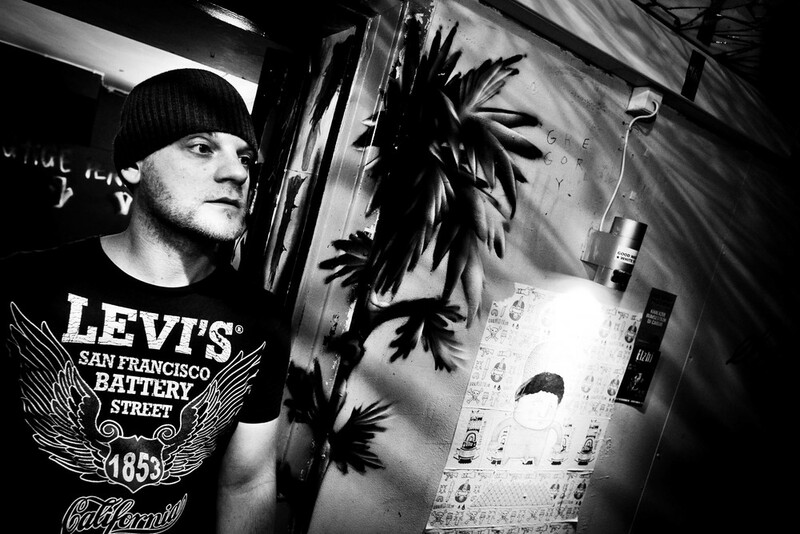 Who would be the ultimate artist you’d like to collaborate with? Where to start… my list is so long, but my first true heavy metal love was Metallica and the whole reason why I started playing drums was because of Lars Ulrich, so to make a music video for them would be amazing. However, bands like Alice in Chains, Pearl Jam, Slayer, Tool, Gojira etc... are long time favorites so it would be awesome to make videos for them as well. I’m old school I know haha. In the movie business I would love to work with Tom Hardy, he is absolutely crazy! But you know… it’s often about the project, what is best for the given project. I have a lot of people I have tremendous respect for. I love directors like Nicolas Winding Refn, Martin Scorsese, Lars Von Trier, Ruben Östlund, Joachim Trier and many more and many actors as well. What would you say was your crowning achievement thus far? 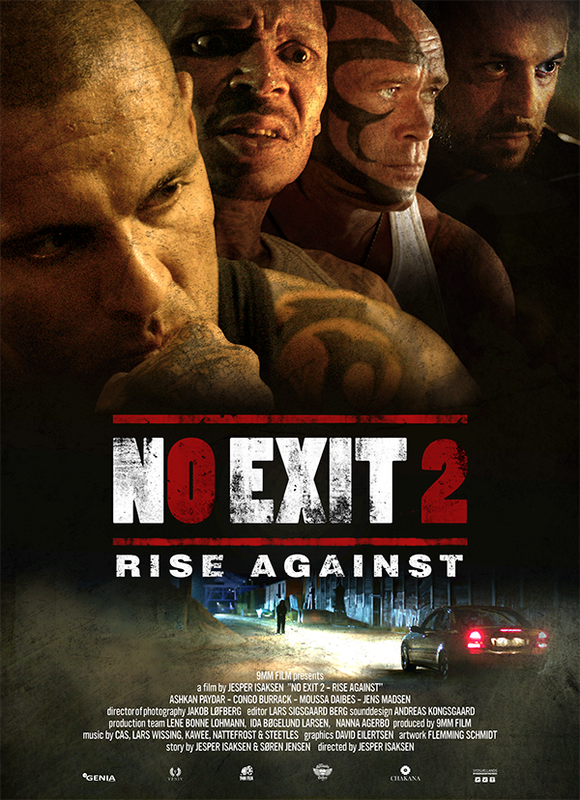 The sequel to NO EXIT called NO EXIT 2 – RISE AGAINST was actually a bit of a living hell to go through, I’m proud of myself I was able to finish the movie in spite of all the difficulties I had making the damn movie, but it’s over and done and still doing quite well. It just had a screening at Orlando Film Festival which is definitely one of the better and bigger festivals out there. First of I’m planning to shoot my first feature film in the summer of 2018, a bloody yet stylish horror-thriller with Danish actor Rudi Køhnke, (if you can imagine something in the lines of The Neon Demon, The Shining and Twin Peaks). If I can have it my way it’s gonna be awesome! We don’t have a tradition for horror-thrillers in Denmark, so it’s a small genre but with a craving for a larger audience, so hopefully I will get it out there in movie theaters and streaming afterwards. I’m also going to be less main stream and more artistic in the future. Main stream bores me. I would like to make music videos containing the kind of material I see on Dark Beauty Magazine, which is absolute stunning. I also love videos from Björk, she always pushes herself far beyond the limits. It’s all about the art, not the fortune and fame! I only want to work with people with a high artistic integrity. Dark Beauty is artistic integrity, stunning pictures, subculture and a chance to high light talented people who push themselves beyond their limits. For me it’s inspiration, without inspiration my creative and artistic drive will parish. I need to feed on work others do and hopefully my work inspires other people as well.